With access to state agencies and departments, this is the place to start if you need anything relating to New Jersey government. Renew your vehicle registration, search for schools, and even find a local farmer’s market. Includes where to vote, how to register, and election law. A directory of legislators, current and past bills, budget information, the NJ Constitution and a link to the laws of NJ, the New Jersey Statutes. A great place to start any kind of legal question in NJ, this site provided by Legal Services of NJ has basic information on the foreclosure process, immigration, disability laws and more. You may also be qualified for free legal advice or information through their toll-free hotline, 1-888-576-5529. The public law school library site has links to primary NJ legal materials, court directories and court rules. Information on taxes; find and print forms. Directory of NJ lawyers, plus key contact information for courts, counties and municipalities. Official laws of NJ, with case law notes. Rules and regulations of all NJ laws. This is place to start to learn about conducting business in New Jersey. Search for license information, business registrations, industry overviews and tax information. Take a look at the Guide to Doing Business in New Jersey booklet for information on starting a new business. Search the membership directory for South Jersey businesses and try the events calendar for networking opportunities. Provides local networking and business opportunities and also provides a regional member directory. Current news about NJ companies and the NJ economy. Located at Rutgers University, Camden, the Center is part of a statewide network that provides comprehensive small business counseling and educational opportunities to small business owners and potential owners throughout the State of New Jersey. 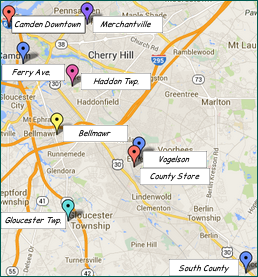 Directory of NJ businesses by county or industry. This state department protects the public from fraud, deceit, and misrepresentation in the sale of goods and services. Find at this site consumer alerts, file a complaint, check into a business or charity. Find reports on businesses and charities. Lists of public, private and charter schools from the NJ Department of Education. From the Commission on Higher Education, lists of colleges and universities in the state by name, degree and also with an interactive map. Search for current openings with local and state government. 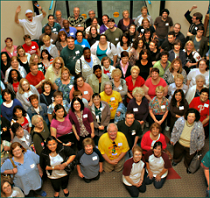 Services and opportunities relating to working, finding a job and providing employment in NJ. Also find the location of your local One Stop Career center to assist you in getting the skills needed to find a job. Developed and maintained by the libraries of UMDNJ to meet the health care information needs of consumers, particularly the citizens of New Jersey, HealthyNJ provides easy to understand information on a broad range of health topics. Most of the site is also available in Spanish. Explore highlights from the Society’s collection of materials. Quick facts on the state: symbols, holidays, timeline. A growing collection of photos, maps, immigration records of New Jersey history and culture, from the collections of NJ libraries, museums, archives and historical societies.